As an SEO specialist, Alex’s responsibility is to increase or maintain the rankings of each of our clients’ websites. He specializes in ensuring that their sites keep their page one rankings on all of the major search engine results pages for targeted keywords. He accomplishes this through content strategizing, link building, and other proven SEO tactics. 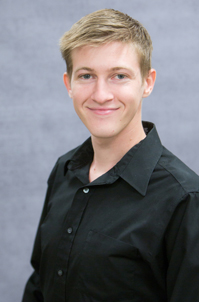 Alex is a recent graduate from Arizona State University where he studied Communication and Media Analysis. He brings with him a fresh perspective on internet marketing, as he is constantly reading up on new SEO strategies, in order to stay one step ahead of the competition. When he’s not working, Alex spends his free time exploring the local music scene, spending time with his family and friends, keeping active with his dog, Benson.